We’re very happy to be able to offer free downloads of two books we have contributed to. The first is a collection of essays on search from an informal group of independent search experts, The Search Network. Covering topics as varied as the business case for search, taxonomies, search for Sharepoint and relevance tuning this is an essential guide for all those planning, procuring and running a search project. Flax’s Managing Director, Charlie Hull, contributed the chapter on open source search and co-authored the chapter on budgeting search projects. The Network have offered this free guide under a Creative Commons license so you can share it widely with your team and contacts. Click here to download the PDF. 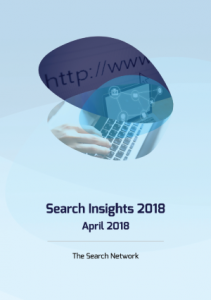 Working with Professor Udo Kruschwitz of the University of Essex, Charlie Hull also co-authored Searching the Enterprise, a discussion of enterprise search as part of the wider information retrieval research field. Covering definitions of enterprise search, evaluation and some future trends, and with a detailed appendix listing many further references, this book will be of value to those considering PhDs in related topics or developing innovative new enterprise search products. Click here to download the PDF or buy the printed book from Now Publishers.